Football NSW recently caught up with Sydney Olympic’s new Portuguese head coach Jamie Monroy with an insight on how things have gone thus far for the man in charge of one of Australian football’s most historic clubs. Monroy headlines an impressive C.V. with experiences overseas having been part of coaching setups at FC Barcelona, A.D. Alcorcon, FC Baku and Boavista to name a few but hopes to make his mark on the Australian game with his opportunity managing the Blues for the 2017 PlayStation4 National Premier Leagues NSW Men’s season. With an impressive list of Portuguese managers that have excelled in world football with the likes of Jose Mourinho, Fernando Santos, Carlos Queiroz and Jorge Jesus to name a few, Monroy hopes to take Australia’s best state league competition by storm in his debut season.  FN: Your thoughts on what you have seen so far with the standard of football in Australia? JM: I’ve been exposed to a few Hyundai A-League games since arriving in Australia and have seen all the matches from Sydney Olympic last year. Australia has good, physical players and I think they are most comparable to players in the EPL due to their physicality and the football culture. JM: My first objective, of course, is to win the league. I want to be the surprise team in the Westfield FFA Cup and go very far in that as well. My aim is to create an environment that allows players to reach their highest potential and to create a consistent playing style within the club. Our main aim as a club is to promote and develop our talents. JM: I have a degree in Sports Science and Physical Education, a Masters in Physical Condition in Football and at the moment finishing the PhD in Sports Training – Training Methods of Soccer. Among my experience, I’ve worked with Boavista FC as the Soccer School Director and as Head Coach in Youth Team, for FC Porto I worked in the scouting department looking for young talents, with AC Milan as the Technical director of the AC Milan Soccer School and Head Coach, for FC Baku as an Assistant coach under ex-Athletico Madrid player, Milinko Panti?, and with FC Barcelona as a Technical Director in the international soccer camps and also as a Coach. FN: How have you settled in the Australian way of life? JM: I’ve really enjoyed Australia so far. There is good weather and I’m in a good spot where I’m near the beach, the city and also close to work. FN: What is your schedule like for the preseason, friendly matches confirmed? JM: We have matches scheduled every weekend up to the start of our season so it will be good preparation for us. FN: Training venue wise, where is the squad based? JM: Our main training base is at Peter Moore Oval, but we have also been doing some training at Valentine Sports Park. FN: Signings, which players have you brought to the club and will you be looking at expanding your squad before the transfer window closes? JM: We have had a lot of new talent brought into the team. We’ve recently signed Yu Kuboki and Radovan Pavicevic, who bring skill, experience and pace to the squad. We’ve brought Darcy Burgess into our First Grade squad, acquired former Hyundai A-League talent Max Burgess, signed Yianni Spyrakis, Paul Katsetis, Peter Makrillos and Steven Drewery among others. The squad is pretty much finalised for now, there won’t be much more movement. FN: What have been your first impressions with the Sydney Olympic squad? JM: I’ve been very impressed with the players that have remained in the squad from last year. They are quality players with good skills and their attitudes are positive – they have a great desire to learn. PlayStation4 National Premier Leagues NSW Men’s side Rockdale City Suns kicked off the 2017 year on a high after retaining the annual Maso Cup defeating Victorian side Preston Lions FC 1-0 at Ilinden Sports Centre thanks to a Blake Ricciuto goal on balmy Sunday afternoon. In what was a hard fought match, the Suns ran out victors 1-0 with the likes of new recruits such as Ante Covic, Harris Gaitatzis, Jordan Figon, Jonathan Grozdanovski, Brayden Sorge and Michael Loupis all making their official debuts for their new club. The Suns proved to be successful across three out of the four competition age groups that featured over the weekend taking out the Under 19s and Over 35 titles. Co-hosts Bankstown City FC took out the Women’s Grand Final smashing Altona Magic 6-0. In a massive boost for the PlayStation4 National Premier Leagues NSW Men’s competition, 2016 Premiers and NPL Champions Sydney United 58 have been invited by Chinese Super League powerhouse club Shanghai Greenland Shenhua FC to play a friendly match as well as engage in a week long training camp in China this Saturday. The new look Reds, who are now coached by former Grade 20s coach and ex-Croatian Under 21 international Davor Bajsic, having taken over from Mark Rudan this year, will have the opportunity to unleash his new signings with the likes of Nick Olsen, Ante Tomic, Petar Markovic, Anthony Tomelic and Adrian Vranic all hoping to impress the man in charge. The new recruits will join the likes of Panni Nikas, Nick Stavroulakis, Glen Trifiro, Yianni Fragogiannis, Chris Payne, Tomislav Uskok, Matthew Bilic and Kris Vlismas to name a few on route to Shanghai. Club captain Nick Stavroulakis in particular was looking forward to the week-long training camp in China which has also acted as a great opportunity to further bond with the new players. “It’s a once in a lifetime opportunity to have been given this chance to play against one of Asian football’s best clubs. “To think that we could face players such as Carlos Tevez, Obafemi Martins and Fredy Guarin is quite surreal and has not sunk in yet. The club will depart from Sydney on Saturday 28th of January and will take in a week long camp that will see the former NSL giants settle in Shanghai for a training camp where they will take on one of the world’s wealthiest teams on Tuesday 31st of January. Coached by none other than former Uruguayan international Gus Poyet, the club could potentially unearth the world’s highest paid footballer in Argentine legend Carlos Tevez in marking his debut after his move from Boca Juniors against the Edensor Park based side. Other potential superstars awaiting the Reds’ arrival will be former Nigerian ace Obafemi Martins, Colombian Internationals Fredy Guarin and Giovanni Moreno as well as a whole host of Chinese internationals. Shanghai Shenhua could potentially face an Australian side in the forthcoming Asian Champions League Play-Off stages in the form of Brisbane Roar should John Aloisi’s men win their Preliminary Stage match against the Philippines’ Global FC or Singapore’s Tampines Rovers. The club will arrive back in Sydney on Friday 3rd of February before jetting off again, this time to Melbourne on Sunday 5th of February to take on fellow club Melbourne Knights in Victoria in their annual Friendship Cup clash. When James Chronopoulos went down through a horrific knee injury midway through the first half in last year’s PlayStation 4 National Premier Leagues NSW Mens Preliminary Final between the Bonnyrigg White Eagles and Sydney United 58, an unknown youngster by the name of Stevan Savicic got the call up. In the biggest match of the year for both clubs, the 19-year-old pulled his gloves on and jogged to his goal for his debut in competitive senior football. “Initial thoughts that went through my head were, I’m ready, I can do it easily, especially against Sydney United 58. “Some nerves as always but I just knew I had to play my usual game. “It was a very good experience. With experienced heads in the White Eagles dugout such as Brian Brown, Cliff Pointer and goalkeeper coach Jose Bello Amigo, the youngster had all the support he needed. Despite the support though, he soon understood what it meant to be a senior player. Despite some second half heroics from Savicic and some saves that are still spoken about today, the White Eagles lost 3-2 and missed out on taking its place at last year’s Grand Final. It was a bitter-sweet debut for the young keeper. “I felt great but also pretty upset after the game. With preseason well and truly underway, Savicic moves into 2017 as the White Eagles number one with experienced custodian James Chronopoulos recovering from his devastating injury. Even with the first choice keeper tag beside his name, the lanky keeper is feeling confident moving into the new season. Savicic has set his objectives ahead of the new season and for his future footballing career. Being a Bonnyrigg junior, the level-headed Savicic hopes to make a mark and change the stereotype of the White Eagles production line of youth players. “I feel very proud coming through the system here. “A lot of people say that Bonnyrigg produces little home grown talent so I feel like I can change that. The Rockdale City Suns FC are pleased to announce the signing of former Hyundai A-League star goalkeeper Ante Covic for the 2017 PlayStation4 National Premier Leagues season. Covic joins Rockdale after returning from Perth where he played 28 Hyundai A-League matches for the Glory last season and a memorable stint at the Western Sydney Wanderers where Ante won an AFC Asian Champions League title as we as being awarded the AFC Champions League’s Most Valuable Player. The 41-year-old will bolster an already strengthened backline in 2017. The club has also signed former Sydney Olympic ace Harris Gaitatzis and ex-Sutherland Sharks striker Jordan Figon for the 2017 season. The first opportunity to see Ante and co in action will be during the upcoming Maso Cup with the tournament kicking off on Friday 27 January at Ilinden Sports Centre at 6pm.